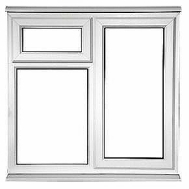 Casement windows are ones that have a handle of casement in and are predominantly made of metal or wood, with a series of small windows in each casement. Also on the market are flush casements, a type of window with openers that lock into the frame and end up flush with the face of the window. The windows were firstly made from timber, usually oak, and had the accolade of being the most popular window style in circulation during the mid eighteenth century. There would be a framework dividing the window into small panes of glass and the casement was made of iron with lead lattices. As the years passed and technology of windows improved, the small panes were slowly replaced with fewer panes and bigger glass until nowadays there are normally just 2 panes. Casement windows seem to sweep in and out of favour uncontrollably. When sash windows were first introduced, they outsold casements, before becoming popular again after the 1930’s. Because the original window frames were made of oak, they were normally left unpainted as they already looked good. As other, softer woods started being used, painting the frames became popular with the masses. While most were white, there were examples of green, red and black. 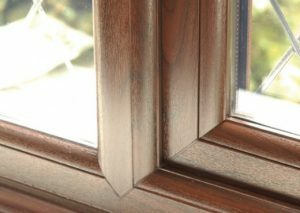 The main draw of casement windows is that they are capable of opening much wider than any of it’s competitors. As long as the window has been fitted correctly and is in the right place, the window should be able to open out completely. Another advantage is security. The windows are locked with a hook which is embedded into the window and completely tamper proof. For most criminals other windows are quite easy to break into by comparison. For those who have concerns about heat escaping, rest assured that the windows create an airtight seal when shut. There are a few disadvantages to these types of windows. The main downside is that in some houses you are unable to have casements. Not all houses have the space between windows that they can have windows that open fully there is another window close by, casements wouldn’t be suitable. Also there is the matter of size of the windows. Because the frames open outward, they need to be not too heavy or too long as otherwise they would just fall out relatively easy. This is why I would normally advise to use a reputable supplier to fit the casements so that you can feel safe in the knowledge that the correct measurements, preparations and materials have been used. With the increased security, increased lighting and heat conservation, casements can be an ideal purchase for your home, as long as they can fit suitably in. Copyright © 2019 Soho. Powered by WordPress. Theme: Spacious by ThemeGrill.